New Swimmer Info: What is a Heat Sheet? 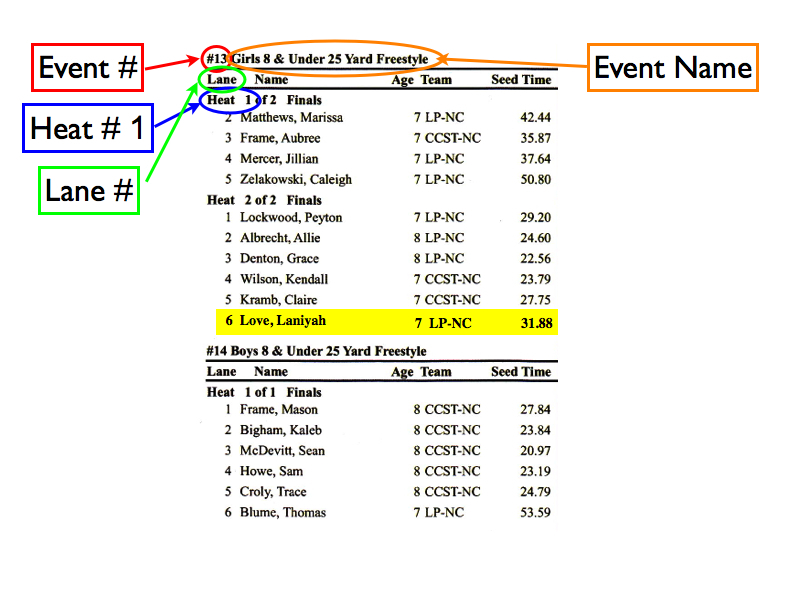 NEW SWIMMER INFORMATION: What is a Heat Sheet and what to do with it. If you are new to swim meets, a Heat Sheet documents all the events, heats and lanes and all the swimmer assignments for a meet. A Meet is made up of Events. Each Event has multiple Heats dependent on the number of assigned swimmers. Each Heat has 6 Lane assignments. Our pool has 6 lanes. So for your swimmer, you will need to document the events they in, the heats they are in within those events and the lanes they are on within those heats. This is really easy. 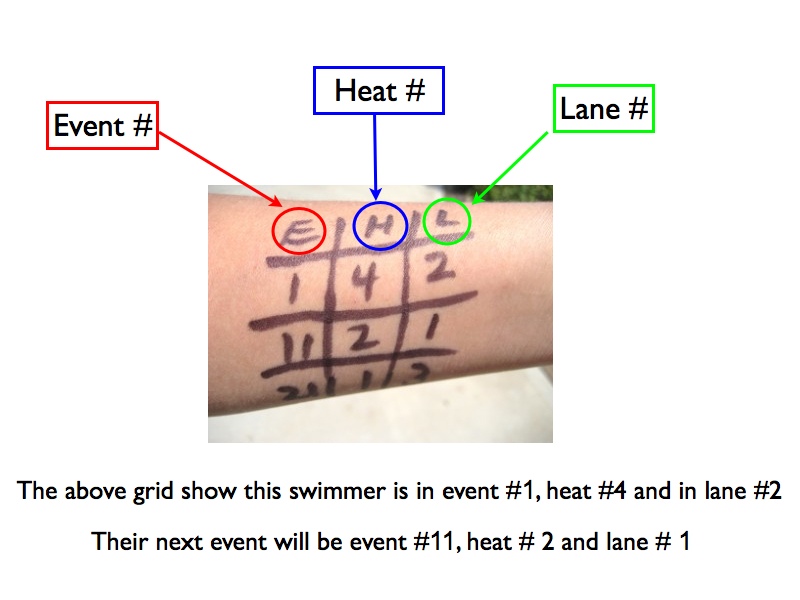 Simply draw a grid (like a tic-tac-toe board) on your swimmers arm. (usually with a sharpie pen) With the 3 numbers that we talked about above, we write those #’s in the grid and ta-da!! 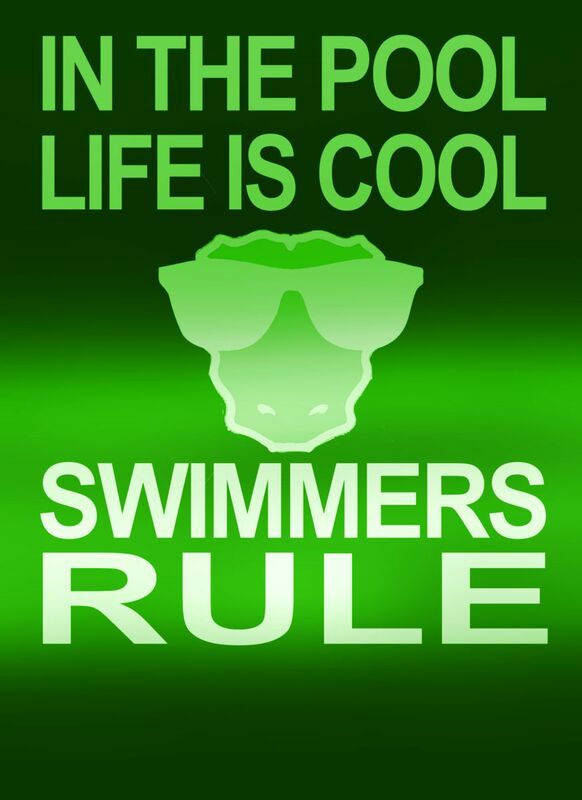 !, your swimmer now knows exactly when and where they need to be for their events.